Nargis Fakri marks her debut with Rockstar; She might resemble Katrina Kaif in many ways but in looks and expressions she is far better than what Katrina was in her first few films. Her role required her to be a woman of blithe spirit and the chemistry between both the actors was palpable. She plays a woman Heer Kaul who is about to be married and is not averse to the friendship offered by Janardhan Jakhar. Both of them enjoy all the wild things, freak out and are also conscious about their status and future. Janardhan doesn't measure upto Heer in any manner, be it education, culture and society and has not yet made a career. The struggling guitarist now as Jordon soon joins the married Heer in Prague and the passion is rekindled. This part of the film has been shot well, the passion between the actors comes alive. But for a moment we wonder if it is Ranbir Kapoor or Emraan Hashmi who's playing the lead because there is lust in the actor's eyes and everytime he sees the girl, he grabs her. Love could be an undercurrent but passion dominates. The actor's changing look is stunning and goes with the narrative. The director is very crystal clear about what he wants to say about the lead character, i.e., he is restless, impatient, craves for her and doesn't derive the satisfaction of wealth and status without her presence. The first part of the story has been well narrated but only in the latter part it gets flawed, slows down. Was Heer suffereing from a terminal disease or was she in depression because of her secret affair and role conflict as a wife and lover because of which she sought to consult a psychiatrist? It isn't clear. Plus, the police beating him up, his constant scuffle, the paparazzi and the media bashing is a bit over bearing. Ranbir Kapoor as Rockstar is amazing, it is just not about the role he portarys but how he does it, it isn't about just holding the guitar, one sees a born musician in him. 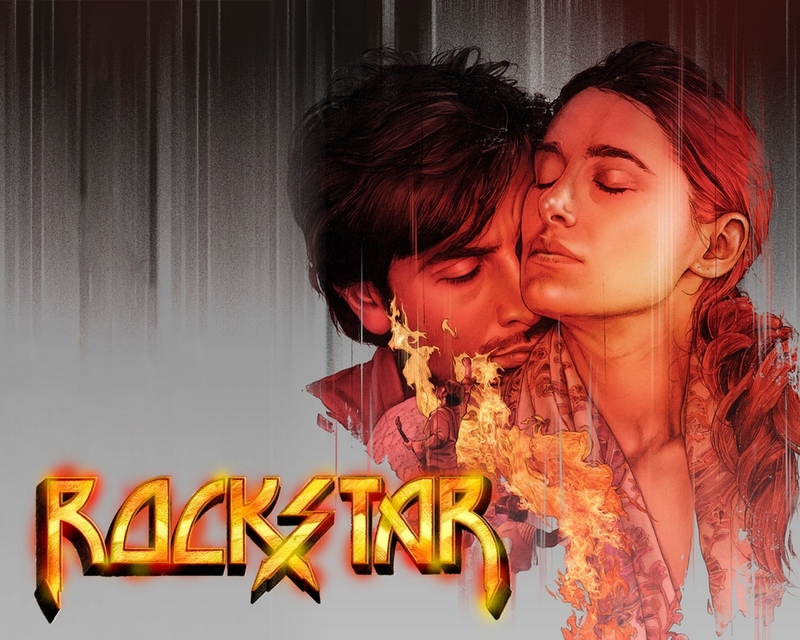 Screenplay is tad irritating, Rockstar is another love story that is set against a music backdrop. It reminds us of Venkatesh-Revathi's Prema but the end here is again confusing and convoluted. Does the Rockstar go through the curse of hurting Heer as a member in a family puts it or does the pain in his heart bring out a rocking song? The locations in Kashmir, Prague are stunning. All in all, the film rocks in parts before nose-diving irrevocably. One time watch definitely for Ranbir Kapoor, the terrific screen presence of Ms Nargis Fakhri, and to check out what's in Sadda Haq!